Richard Marriott is Chairman of the Board of Host Hotels & Resorts, the largest lodging Real Estate Investment Trust in the United States. He is Chairman of First Media Corporation, a privately held broadcasting and investment group. He previously served as chair of the Polynesian Cultural Center, president of the National Restaurant Association, and a trustee of both Gallaudet University and Boys & Girls Clubs of America. He is a director of the Richard E. and Nancy P. Marriott Foundation and Chairman of the Marriott Foundation for People with Disabilities and the J. Willard Marriott and Alice S. Marriott Foundation. In addition, Mr. Marriott is a member of the Federal City Council and the National Advisory Council of Brigham Young University Marriott School. He began his career in the hospitality industry at an early age, working as a teen in his parents’ Hot Shoppes restaurants, officially joining the company as a manager in 1965 upon graduation from Harvard Business School. The company changed its name to Marriott Corporation in 1967 and as its businesses expanded, so did Mr. Marriott’s responsibilities. He served in various executive positions in property development, architecture and construction, restaurant operations, theme parks and data processing. He was elected a director in 1979 and became vice chairman in 1986. 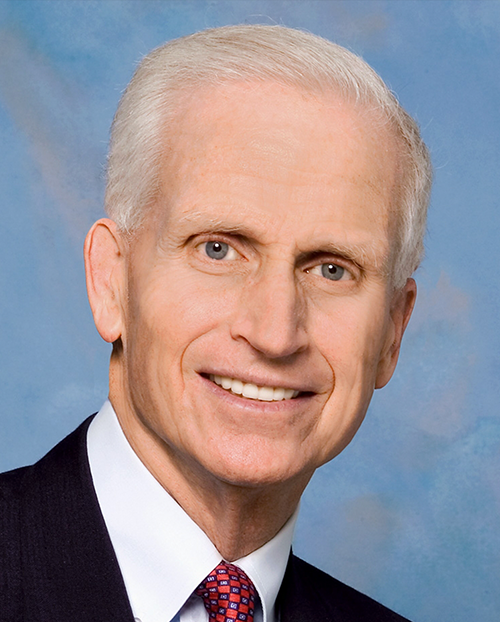 When the company split into two distinct corporations in 1993 – Marriott International and Host Marriott – he assumed the position of Chairman of the Board of Host Marriott, which subsequently split, becoming a REIT in 1999. It is known today as Host Hotels & Resorts with Mr. Marriott continuing as Chairman. A graduate of the University of Utah, he holds an MBA from Harvard Business School. The younger of the two sons of company founders J. Willard and Alice S. Marriott; he was born in Washington, D.C. He resides with his wife Nancy in Potomac, Maryland. They have four daughters, 13 grandchildren and three great grandchild. They are active members of the Church of Jesus Christ of Latter-day Saints. Nancy Peery Marriott was born in California and received a BS from the University of Utah. She has had a lifelong love of music, especially opera. After graduation, she continued her vocal studies at The Longy School of Music in Boston. During her daughters’ school years, she devoted her time and energy to enhancing their educational and personal development, volunteering in the classroom, assisting with scholastic programs and even serving as headmistress for a day! She also shared her love of and appreciation for the arts with her girls, coordinating local, national and international adventures to experience other cultures and heritages, visiting museums, theatres, musical programs and special events, such as the Olympics. She encouraged each child to pursue her individual musical interests and talents in song, instrument and dance, performing as a family at churches, nursing homes and cultural venues every year through high school. She was an exceptional example to them during their childhood, juggling her roles as mother and spouse, at the same time serving her church, being a community leader and pursuing her vocal studies. Her grandchildren have also been beneficiaries of her energy and enthusiasm, enriching their musical experiences and continuing this tradition of commitment to the arts, public service and long-term educational pursuits. Once her daughters left for college, there was more time to devote to her music, both educationally and in performance. She took master classes with Renee Fleming and Marlena Malas, further vocal development with the University of Maryland Opera Department, and intensive opera studies with the American Institute of Musical Studies in Graz, Austria; the Alaska Summer Arts Festival in Fairbanks, Alaska; the Amalfi Coast Festival in Italy; and the University of Miami Frost School of Music in Salzburg, Austria. She has performed at The Kennedy Center, Wolf Trap, Carnegie Hall, Strathmore Hall, National Theatre, Boston’s Symphony Hall, Constitution Hall, with the Mormon Tabernacle Choir in a live international broadcast, in numerous leading roles with the Washington Savoyards and at local embassies. She has participated in the ArtsNaples (Florida) World Festival, Opera International’s Gala Concert, and with the United States Air Force Symphony Orchestra, Heifetz International Music Institute, the Great Waters Festival Orchestra, National Chamber Ensemble and Ballet West, as well as overseas programs in Israel and Argentina. She is the recipient of the Camerata Award from the University of Utah, the Opera Theatre Award from the Alaska Arts Festival, a special award from Opera International and the Achievement in Arts Award from the Washington Performing Arts Society. She is also passionate about painting and spends what time she can refining her skill and perfecting her techniques. With exhibitions in the Washington metropolitan area and New England, she has been recognized and received awards for her stylistic landscapes in oil. She recently ventured into watercolors and is developing her talents in that medium. In addition to being active with The Church of Jesus Christ of Latter-day Saints, where she has been teaching junior high Sunday school for more than 25 years, she enjoys her involvement with various community and civic organizations. She has been especially active with the Washington Metropolitan Area Red Cross chapter and is a member of the American Red Cross Tiffany Circle. 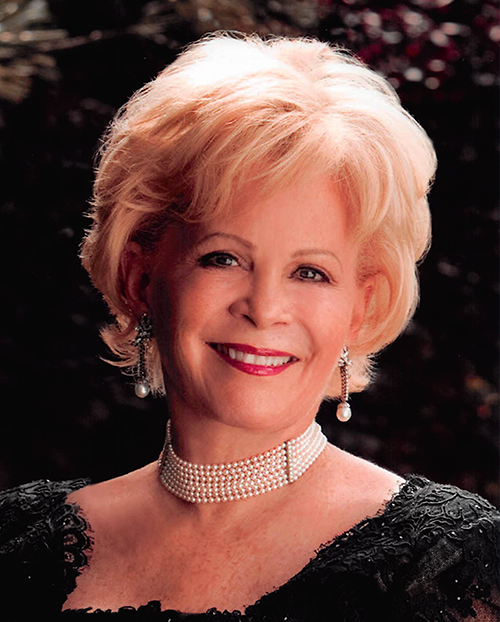 She is also a past member of the boards of the Washington Performing Arts Society and the National Symphony Orchestra, and is presently serving on the board of First Media Corporation and several foundations. She and her husband Richard have four daughters, 13 grandchildren and three great-grandchild. She and her family enjoy spending time together traveling, skiing, hiking, and going on personalized biking trips.